Are Vaping Concerns with Nicotine Legitimate? How dangerous is it really to smoke e-cigarettes? Many people are concerned. But while the jury's out on long-term use, and some groups of people probably shouldn't start vaping any time soon, the evidence seems to show that vaping is way less dangerous than smoking—even vaping with nicotine. CNN recently summarized the information we have about vaping safety. It seems like pregnant women and kids/young adults probably shouldn't use e-cigarettes, and a group of scientists found in February that vaping may have a few health risks that smoking doesn't have. One of the surprising things about the February study, however, is that the health risks around vaping might not have that much to do with nicotine. As the CNN summary reports, researchers at San Diego Veterans Affairs found that e-cigarettes “damaged cells in ways that could lead to cancer, even when nicotine-free.” So if there is a problem, nicotine doesn't seem to be it. But how dangerous is vaping—really? The PHE report also pushes back against a few of the more headline-grabbing studies about vaping. For example, lots of newspapers around the world reported in 2014 that “E-cigarettes contain 10 times the carcinogens of regular tobacco.” This was based on a quote from a Japanese researcher who reported that, if you over-heated the e-liquid, e-cigarettes release 10 times more formaldehyde than cigarettes. However, according to other studies, negligible levels of formaldehyde were released at all but the highest power settings. And besides, cigarettes contain way more harmful chemicals than just formaldehyde—to say that e-cigs contain “10 times the carcinogens of regular tobacco” is dishonest from the start. Most studies show that kids and teens probably shouldn't vape. As the CNN article shows, vaping can be a gateway to regular cigarette use—and besides, it's illegal to sell e-cigarette supplies to minors in North Carolina. But the British agree: especially if you're trying to quit cigarettes, vaping might be the way to go. We at Vapor Smoke Shop can help! It's definitely important to make sure that you're using your e-cigarette right, both for safety reasons and because it's a lot more pleasurable. If you have any questions about whether you're using your e-cigarette right, feel free to contact us, or drop by if you're in the Charlotte area. 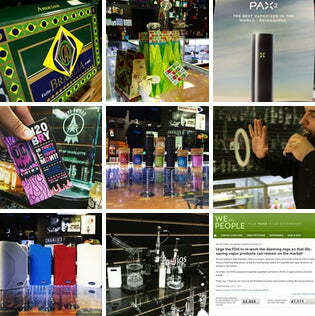 We can help you pick out a vaping setup that will suit your needs.